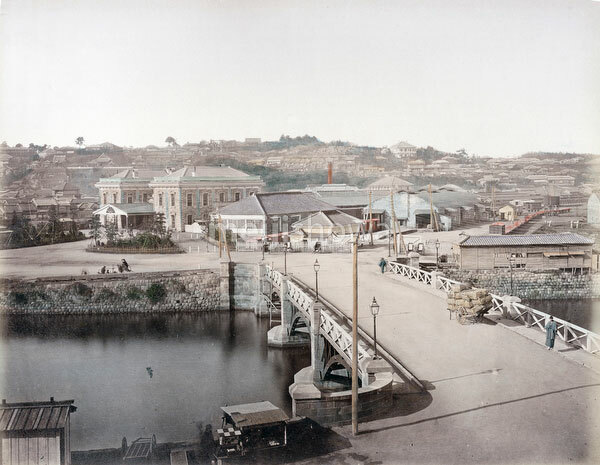 Bentenbashi and Yokohama Station in 1873. The train tracks are hidden behind the buildings, but some freight cars are visible on the shunting yard on the right. The hill in the background is Nogeyama, location of Iseyama Kotaijingu, a shinto shrine, and Noge Fudo, a buddhist temple. See blog entry.